Christopher Tignor’s new album Along A Vanishing Plane is out September 16 on Western Vinyl. We decided to ask him five questions on top of premiering his latest video: “We Keep This Flame,” at the bottom of this post. “The Will and the Waiting,” the first track from your upcoming album, feels—and looks—like a ritual. How did you come to approach solo performance this way? Through thinking about the idea of liturgy and how to create a secular version grounded in my own principles. Wikipedia says a liturgy is a “work of the people.” It’s a performance art of sorts but one clearly bound to core values. The prospect of solo performance really brought to the surface the big questions for me — what’s the point in performing for others and what exactly did I want to do with those moments. For me, the answer was to create a shared experience that was transformative and encouraged both inward reflection and self-confrontation. Ritual is quite good for that and is a natural way to think about the process of making and experiencing music. I’m looking for acts of honesty and self-discovery that do away with the theater and bring the audience in. Essentially, the mantra of punk rock. A lot of solo performances rely on live looping. Why did you decide to avoid them? Because the world certainly doesn’t need another looping violinist. Also, you can’t have the expressive, flexible notion of time this music requires and use repeating sounds fixed in time. What if I want to slightly slow down or speed something up the second or third time based on the room decay or the crowd? Live looping is certainly better than backing tracks but for music like this that really enjoys silence and decay, I need to be able to use my inner clock more than any machine clock. Loops end up filling space — they kill silence. My music seeks to confront through moments of silence and decay. A lot of music, particularly much beat driven music, doesn’t require this precise control of time and in fact benefits from a grid. The music on this record is much closer to Chopin in that way than it is to, say, Reich. Can you tell us about how the recording of the album and the importance of video? Because overdubbing parts really wasn’t possible with the amount of space and free time in this music, the live aspect became a critical topic for this process. So we just went as far as we could with that idea. It seemed much cooler to completely avoid the recording studio, which is good at making music the other way, and find a room that both sounded and looked great. I knew we should try and record the whole thing on video, that it would be compelling to show this new effort at making full range, freely timed music solo and live. The whole thing would live or die by how prepared I was for the sessions. Just one man up there with his wood, metal, and silicon surrounded by 6 room mics and 3 cameras. Hopefully some of that excitement comes through the videos. 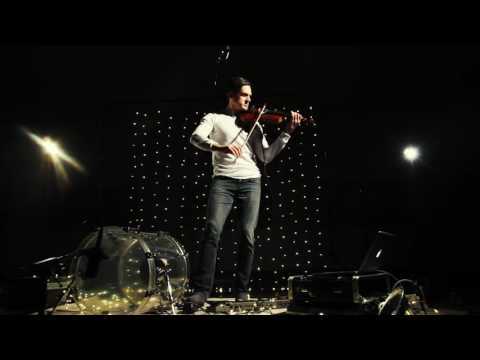 The world certainly doesn’t need another looping violinist. How is this new album influenced by your work with LaMonte Young? I absorbed a lot of low, precisely tuned sine waves and drifting, colored shadows up in the Dream House, his sound and light installation with Marian Zazeela. It was a useful perspective on minimalism to complement the repetitive branches I was also immersing myself into as a young 20 something. More tangibly, I still remember how to make the salmon I was charged with preparing for him and his wife. When can we experience Along A Vanishing Plane live? Friday, September 2nd at (le) Poisson Rouge. 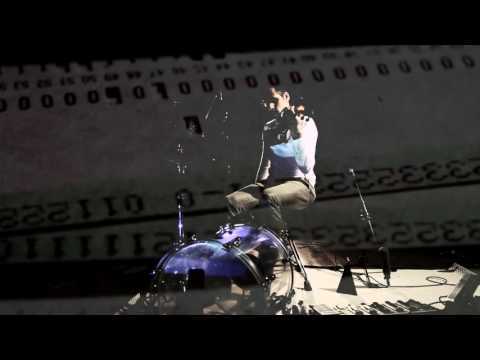 Composer and multi-instrumentalist Patrick Higgins of Zs and Arone Dyer of Buke & Gase, leading her amazing Dronechoir of a dozen incredible female vocalists performing from within the audience are also on the bill. I’ll be happy just to be there for those sets.